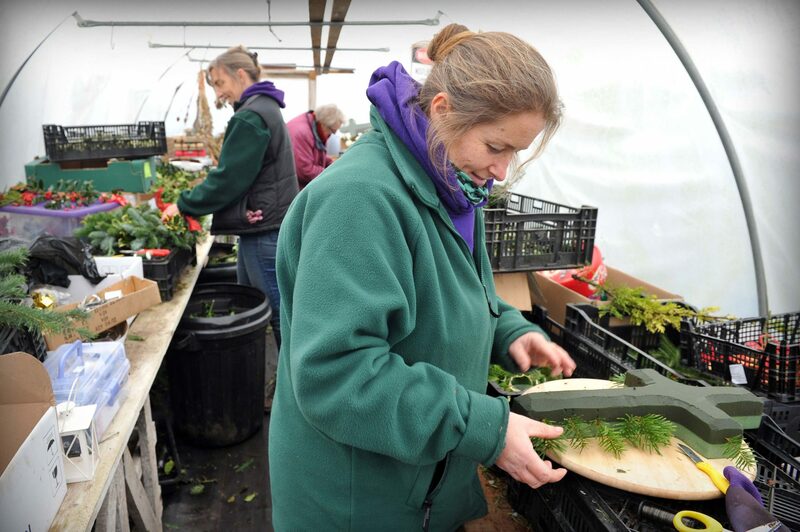 We first started growing Christmas trees when we set up the nursery fifteen years ago. 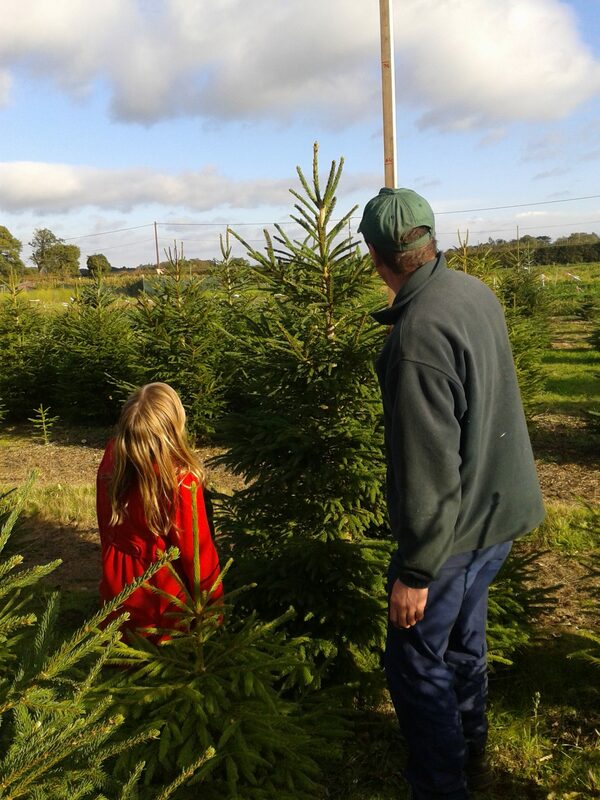 Of course the trees were tiny then but each year we added more in the field and we always plant a new tree when we sell a fully grown one. 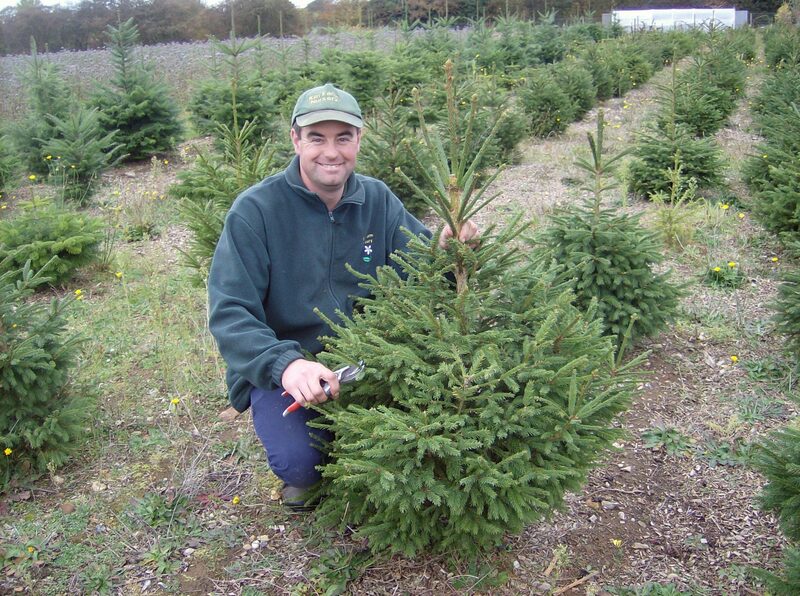 Paul loves his Christmas trees and spends many hours pruning and caring for them throughout the year. 10am until 4pm Saturdays and Sundays from 10th November onwards you are invited to come down and explore the field. You can choose your tree, we tag it with your name and then Paul and the team will cut it for you on the day you wish to collect. That way you will have a tree as fresh as can be. Remember to dress warmly and wear sensible boots or shoes. Non-drop trees - Nordmann Fir, Fraser Fir and Blue Spruce. Traditional trees - Norway Spruce. We are happy to help you select your tree, give you advice on how to care for it, trim any branches, net your tree and load it. We also stock a variety of Christmas tree stands to suit different sizes of tree. We are sorry but our field is shut to the public during December for safety reasons. For information on how to make sure your tree lasts beautifully over the Christmas season then you can read Ruth's December Blog here on our website. If you would like to take home a tree that you can plant out in the garden after Christmas then we have container grown Christmas Trees. You will need to take special care of these trees while they are indoors and during the following year so we can advise you on how to do this. We are a family business and it is 'all hands on deck' during the Christmas season. We do our best to answer calls and emails but, particularly over the weekends in December, we are usually serving customers so we might not be able to get back to you immediately. Thank you for your patience. Dad and David on the netting machine. Paul with one of his baby trees! 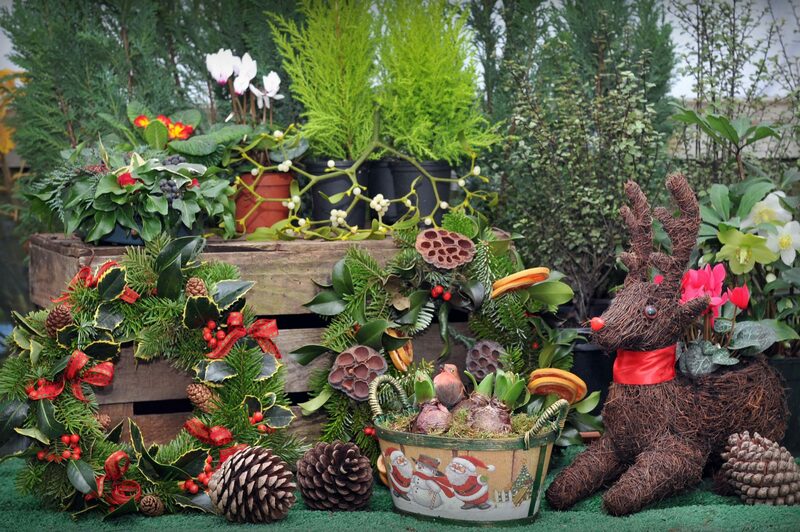 Ann, Marie, Bev and Ruth will be in the polytunnel making wreaths in December. 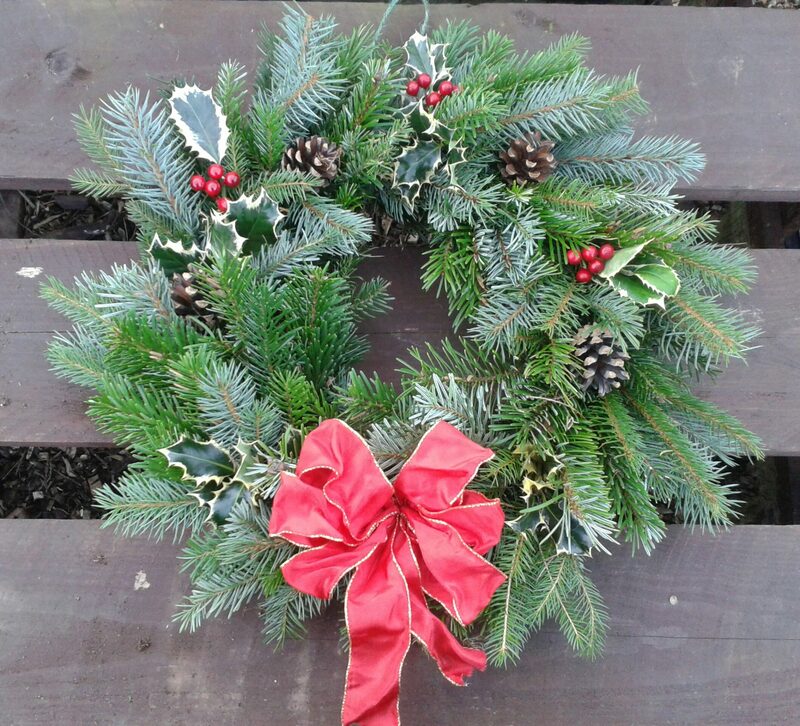 We like to make fresh wreaths using the fir from the trees and holly and fir cones from the farm. We make wreaths to suit all tastes; natural, traditional designs, door wreaths with sparkle and wreaths in oasis to go on graves. Nearer Christmas we also make table decorations and evergreen bunches for the door. We love decorating our shop. 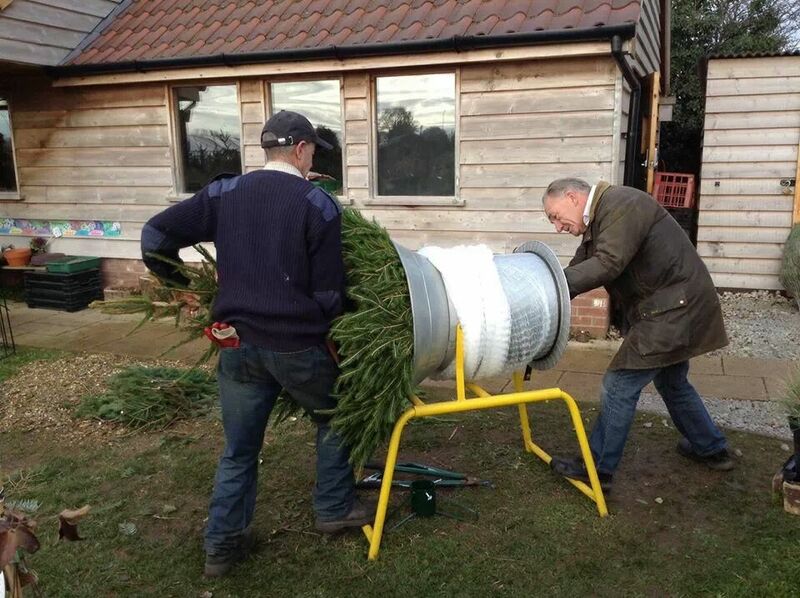 We have Christmas tree stands, decorations and all the usual seasonal produce. You can take the hassle out of Christmas food shopping by pre-ordering your vegetables, potatoes, eggs and Christmas food treats that we stock in the shop such as chutneys, pickles, Suffolk jams and honey. They will be boxed up ready for you to collect from us at your convenience. 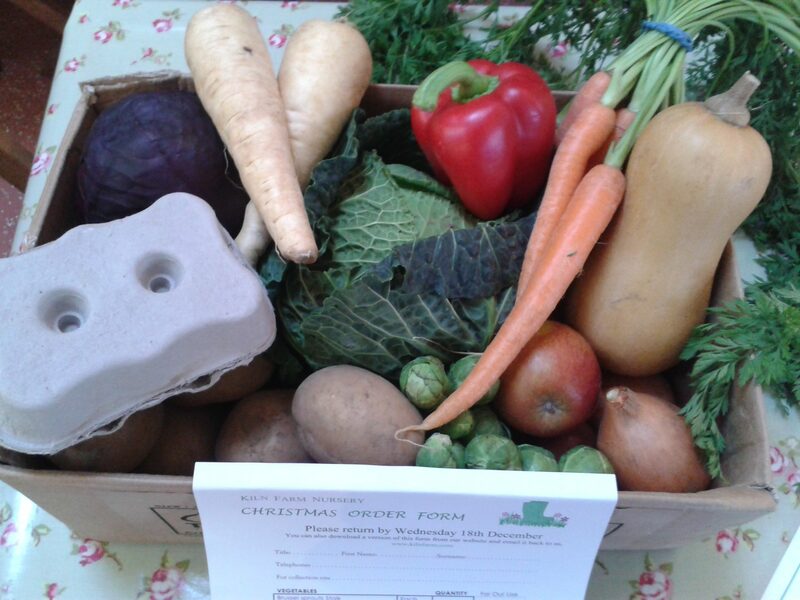 The order form is available in our farm shop from 1st December or you can download it via the button below.